In April ’till June 2002, The British Council Jakarta and Bandung Center for New Media Arts organized a workshop and exhibition located at The Library of The British Council Jakarta. Young artists from Bandung and Jakarta were invited to explore and respond the library space for two months working-period. 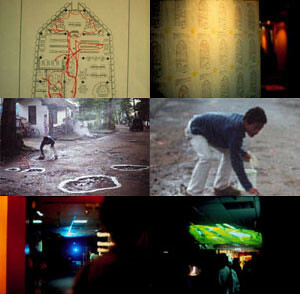 The opening presented Biosampler, a collective multimedia-performance group from Bandung.